Dang, you are good at this. Cool character by the way. Thanks! But @Shinomi-chan gets all the credit. And here you go Thire. And Thire has just condemned Maximus to death! Another great drawing. 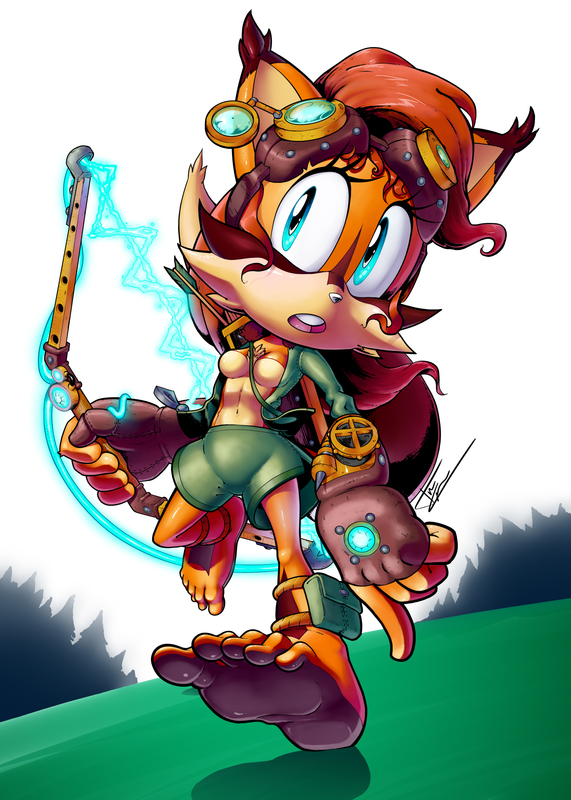 If I may make a suggestion, Tails and Nicole in an action pose. I realise I was the one who started this but now I recommend that Silvori opens a new thread called "Silvori's requests" for drawing requests like this in the future so this thread doesn't get flooded in requests. Dude, I don’t even know what to say other than “You’re amazing!” and “How do you do it?!”. Excellent work! Geoffrey St John - That's a great idea, I think I will do that. Skye Prower - Thank you. I'll do that one next when I get it done I will post it to a new thread called "Silvori's requests" . Thire - Thank you. As for how, Well I've learned the ways of the art ninjas. No.. I just keep drawing till it starts to look cool. Here is an old picture I made back in 2015. It is Metal Sonic but if he wasn't a robot. 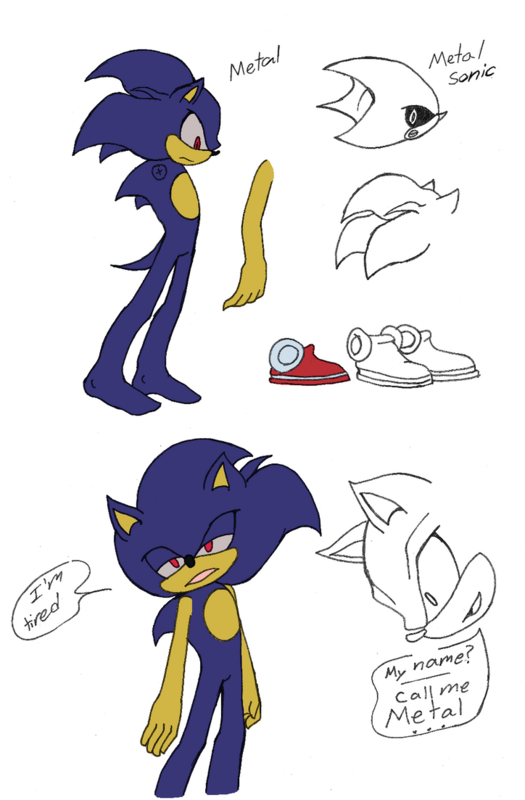 Its a AU fanfiction about Metal Sonic becoming a mobian. I'm thinking of making it into a comic, but I'm looking for about ten people who would be interested in seeing that happen. So my question is you would be interested in seeing that? If yes then feel free to let me know. It would really encourage me to make the comic. Thank you for read this and sorry if it is in the wrong thread. It sounds like an intriguing idea. I'd be interested in seeing it. Though... I hope you are asking around elsewhere. At the moment, there's not really ten active posters in total here! I posted a journal on this on my deviantart page. I thought it would be a good idea to share it here too. In my defence, it was very early am in the morning, so I missed that part. Sorry! Some of you might have seen the profile I made for my new OC, Skye Crystal. If you had, you liekly saw the work in progress artwork for her. Well, here's the final result. Massive thanks to Tim J https://twitter.com/timcampbe for this. Awww, thankie Shinomi. Her backstory and stuff are all here, if you want to take a look. That is a very unique design! Thanks Silvori. I like how she turned out! So I got this made in a commission by Chacolachao ( http://chacolachao.tumblr.com/ ). The design is based on the Avatar Shinomi designed a while back. Thankie! And thanks for the origonal as well Shinomi!